Welcome to Rothrist. Enjoy a relaxing and comfortable stay with us. We are looking forward to welcoming you. 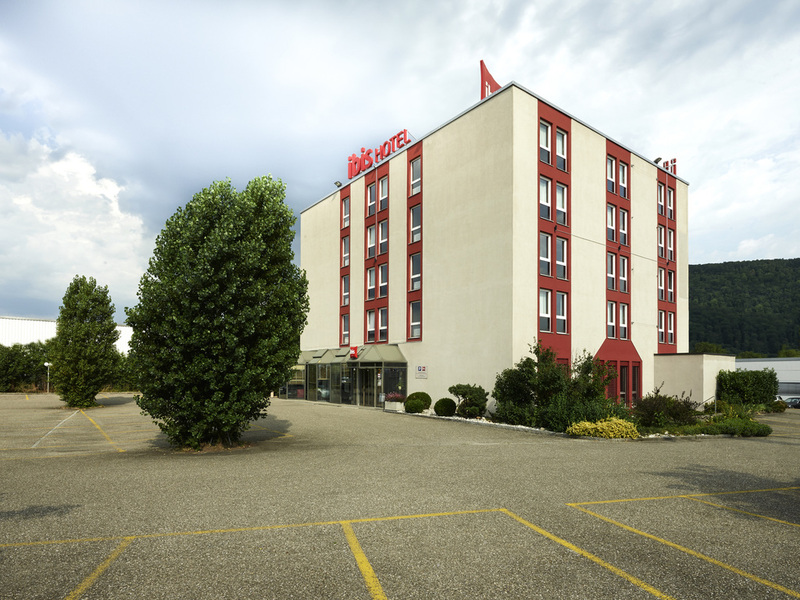 The ibis Rothrist Olten is 60km from Zurich and Bern, and 50km from Basel and Lucerne. Our hotel is ideal for holidaymakers and business travellers. Book one of the 64 comfortable rooms (two are suitable for people with reduced mobility) and enjoy the excellent facilities at our hotel: free Wi-Fi access, cafe restaurant, bar open 24/7, three meeting rooms, private car park and children's play area. Pets are allowed. Our restaurant is temporarily closed on weekends (Saturday and Sunday). The restaurant will stay closed during the following holidays: December 24, 20XX through January 3, 20XX. Enjoy a beer or a fancy cocktail at our bar in a cozy atmosphere. Ok but had driven from uk....and no restaurant facility at weekend......no mention of this when room was booked.....!!!! Now that the hotel has been renovated, our stay was even better. The friendly reception staff and also those for the breakfast service are very helpful and welcoming. I was very surprised to pay for the parking. Dear JAN S., We very much appreciate your comments regarding your stay at the ibis Rothrist Olten. It is always a pleasure to receive positive feedback. I will share your comments with our team. I am sure that this feedback will serve as an encouragement to all of our staff as we strive to continuously improve the quality of our services. For the Parking, it's a new Group policy. We are sorry for the inconvenience. Thank you again for sharing your experience, and we hope your next visit will be as pleasant as the previous one. Sincerely, Laetitia Gnassingbé, General Manager. Rooms old and &quot;tired&quot;. Paint peeling off walls and doors, Bathroom +/- clean. Heating and cooling system old and in need of modernisation. Not enoiugh plugs (1) to cater for modern buisnessman with laptop, phone, tablet to charge. Friendly staff, clean and uncomplicated stay. Good value for money. Comfortable bed. My son slept in a third bed, and woke to find he was bitten a few times in the night, we have taken some photos and plan to see a doctor as he has not been well since. 1. Accore member rate in Internet didn't match to offering in house. There was a problem with my credit card which made me not able to book online which would have cost me 115 euros incl. breakfast. At the premesis I was told that this rate is only available for silver an gold members not for classic do I had to pay 140CHF which is roughly 130 Euros. This is not acceptable even with showing them online the prices they didn't accept it. So next time I guess I need to go through booking.com as they offered even cheaper prices as 140 CHF 2. Breakfast. They had the official marketing brochures regarding the breakfast. Where it says. our customers say 1st thing is scrambled egg for breakfast etc... When I asked about it I was told scrambled egg is not possible only the customer self boiled eggs. Asking why she is advertising scrambled eggs the person said: that's the brand but not with us. 3. No TV connected to the room. TV and antenna cable was no collected soTV was switched before. Asking about it I was told I am wrong but somebody would come to check. Which they did. Nevertheless I was able to fix it myself. Sehr geehrte Frau A., vielen Dank für Ihre Bewertung, die wir sehr zu schätzen wissen. Wir freuen uns, dass Sie Ihren Aufenthalt bei uns genossen haben und hoffen, Sie schon bald wieder bei uns zu begrüssen. Mit freundlichen Grüssen Ihr ibis Rothrist Olten Team www.accorhotels-group.com | www.accorhotels.com Think Green, keep it on the Screen! It's not the royal palace but it's open with reception 24x7, close to the motorway, allowing pet with a reasonable additional fee. offering great breakfast at a reasonable price....what else!! Dear STEFANO B., We very much appreciate your comments regarding your stay at the ibis Rothrist Olten. It is always a pleasure to receive positive feedback. I will share your comments with our team. Thank you again for sharing your experience, and we hope your next visit will be as pleasant as the previous one. Sincerely, your ibis Rothrist Olten Team www.accorhotels-group.com | www.accorhotels.com Think Green, keep it on the Screen! Dear WILLIAM EDWARD P., Thank you for taking the time to tell us about your experience at the ibis Rothrist Olten. I am sorry that your experience did not meet your expectations; please allow me to express my sincerest apologies. During our next renovation it is planned to innovate the rooms. At ibis, we strive to provide a superior service experience for every customer; therefore your feedback is very important to us. Please rest assured that we are taking the appropriate measures to address the problem and prevent future occurrence. We have already spoken with our technician regarding the TV problems, and we are sorry, that you had no chance to look your preferred channel. We would like to invite you for your breakfast during your next stay at the ibis Rothrist Olten to convince you from our service. Please contact us, when you have made your travel plans. Once again we thank you for your comment you've shared with us and other travelers. It is our hope that you will give us the opportunity to better serve you in the near future. Sincerely, your ibis Rothrist Olten www.accorhotels-group.com | www.accorhotels.com Think Green, keep it on the Screen! The main problem with the hotel that there is no air conditioning. Of course it should be clear at the reservation but I overlooked it. Comparing to this fact the price is high. The staff was helpful. The breakfast was poor. Dear LASZLO G., We very much appreciate your comments regarding your stay at the ibis Rothrist Olten. It is always a pleasure to receive positive feedback. I will share your comments with our team. I am sure that this feedback will serve as an encouragement to all of our staff as we strive to continuously improve the quality of our services. We are sorry that we didn't meet your expectations for the breakfast buffet. We are working on solutions, and we do hope to serve you better during your next stay with us. We are as well planning a renovation, and will hopefully be equipped with an aircon in the future. Nevertheless don't hesitate to contact the reception for having a ventilator. Once again thank you for sharing your experience, and we hope your next visit will be as pleasant as the previous one. Sincerely, your ibis Rothrist Olten Team www.accorhotels-group.com | www.accorhotels.com Think Green, keep it on the Screen!